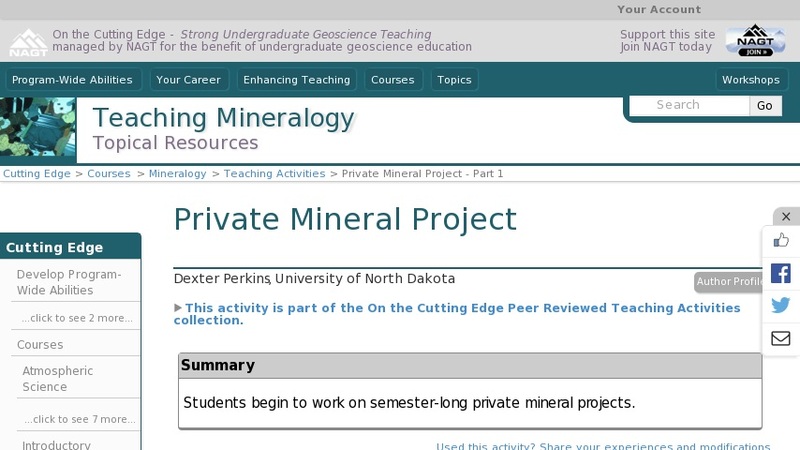 In this semester-long private mineral project, students become experts on one mineral. They write a paper about their mineral and use key information about it to publish a web page. Information should include provenance, physical properties, composition, recent related literature, photos of samples, optical properties, x-ray pattern, crystallography, economic value, atomic structure, other closely related minerals, associated myths, and a complete list of references based on GSA format.